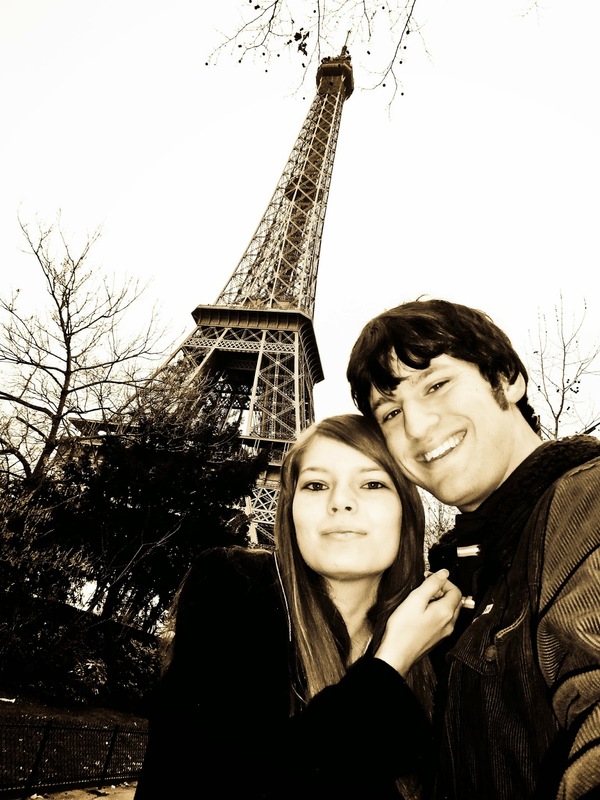 It’s about time my hubby made an appearance on my blog. I was so excited when he agreed to answer the Blogger Men Tell All questions for this month. 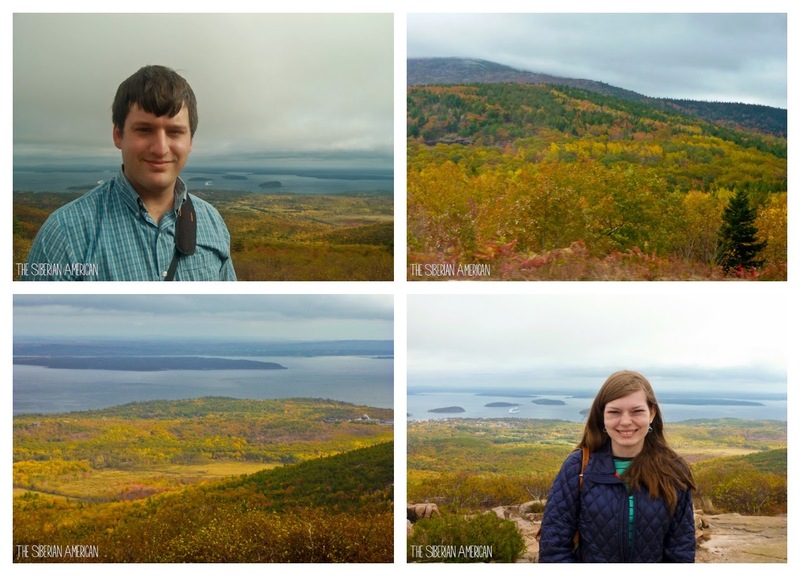 Our second stop on our fall foliage cruise was Bar Harbor, Maine. 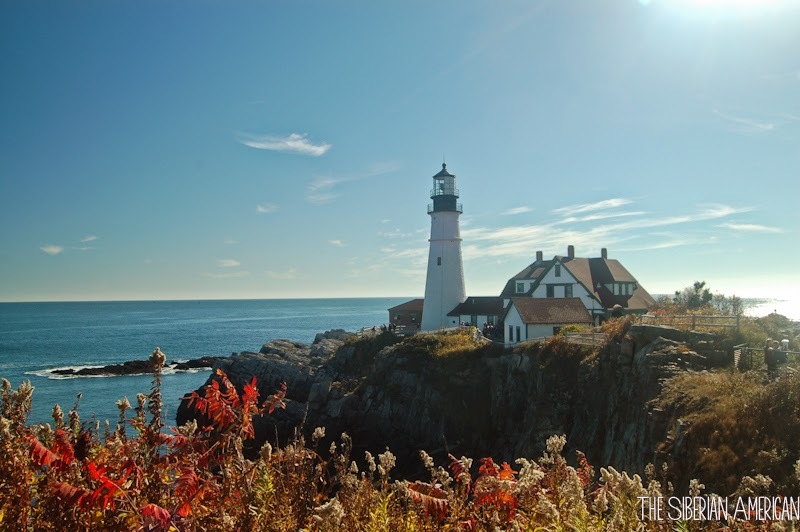 Maine has always been high on my list to visit so I was excited that our itinerary included two cities. 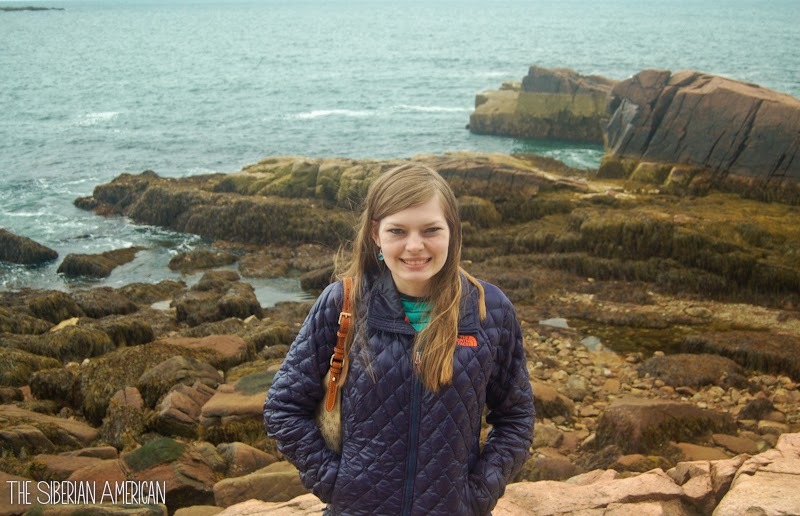 We got on an early tender and had some time to kill before our tour to Acadia National Park so we wandered around Bar Harbor. 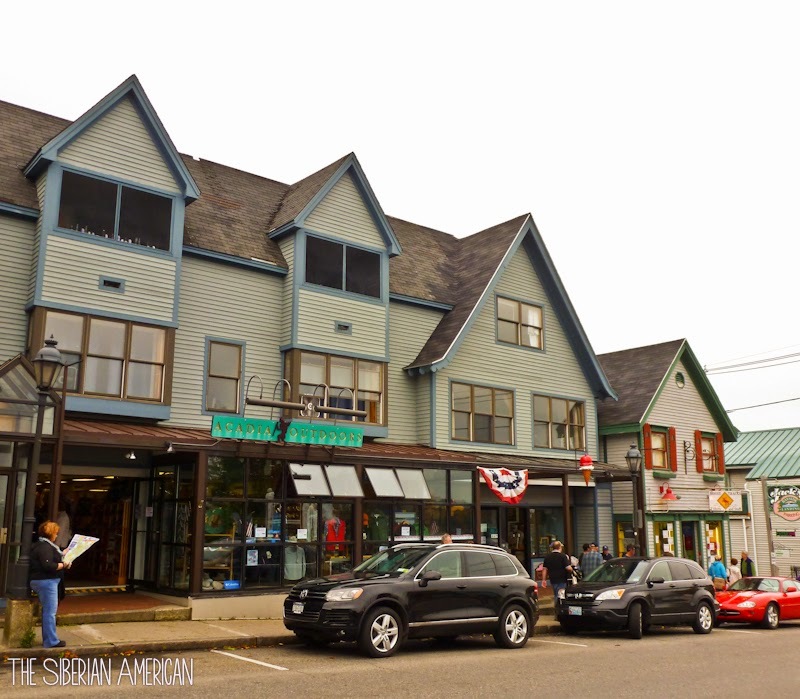 They have a cute Main Street close to the town pier (where the tenders dock) so we shopped and explored. 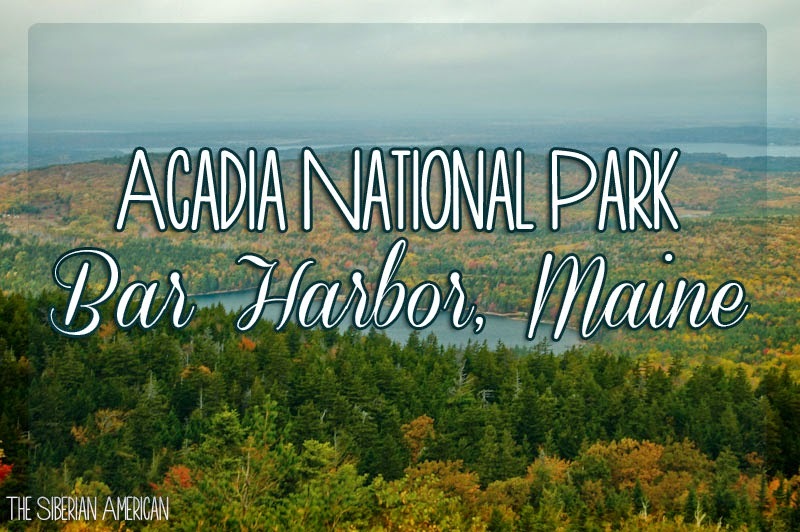 We booked our tour to Acadia National Park through Acadia National Park Tours, and it was a great way to see the park in a short amount of time. 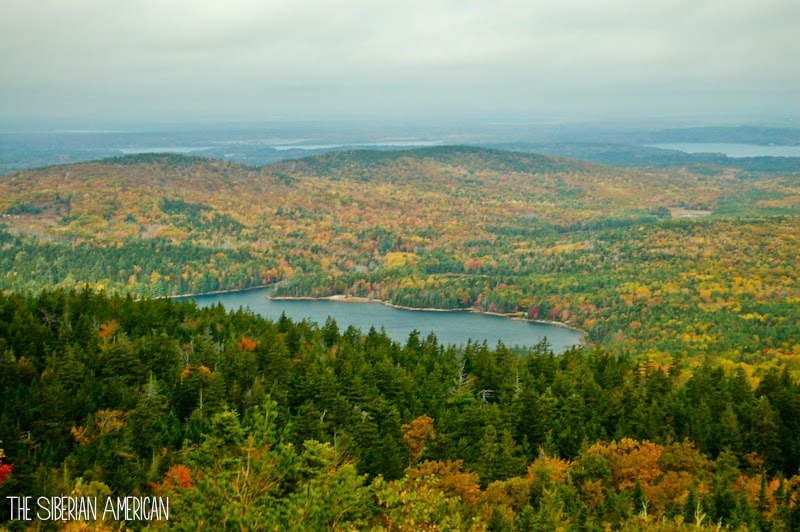 We visited a lookout for Cadillac Mountain, Thunder Hole, and Sieur De Monts Spring with a 20-minute stop at each place. Our tour guide was informative, with plenty of interesting anecdotes about Bar Harbor and Acadia National Park. 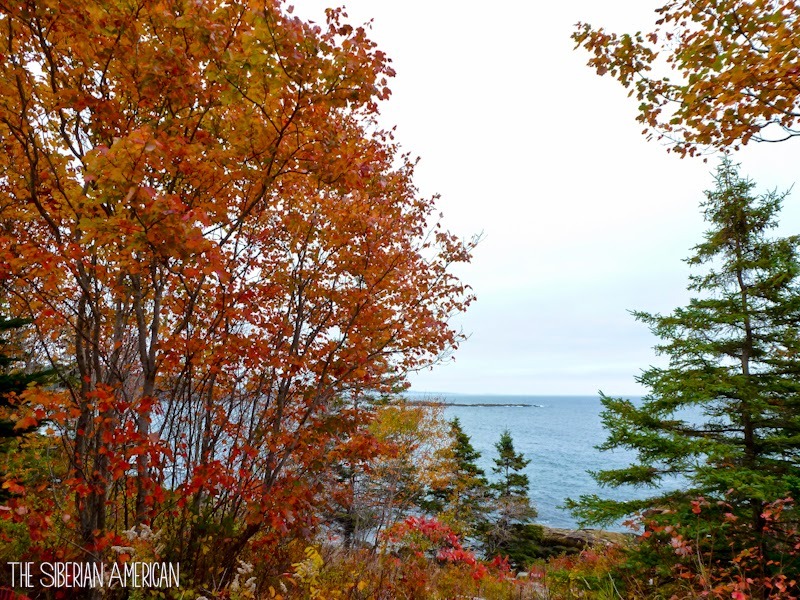 I loved the drive over to Acadia National Park, but the park itself was absolutely beautiful, especially with the gorgeous fall colors. Chris and I took advantage of our time there, climbing to the highest peaks to get the best views and crawling all over rocks to get as close to the ocean as we could without falling. After our tour, we explored Bar Harbor some more, stopping by a restaurant for another lobster roll (which wasn’t nearly as good as the one we had in Kennepunkport). 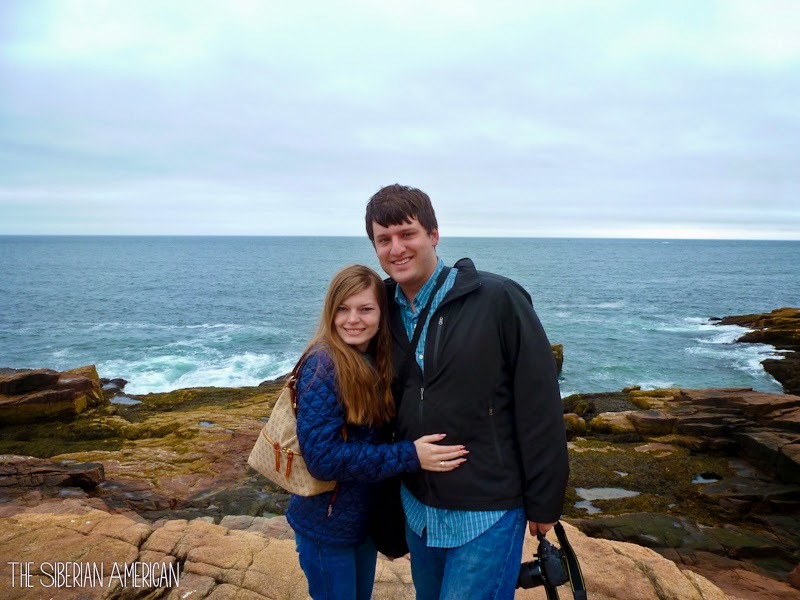 After spending time in both Portland and Bar Harbor, Chris and I couldn’t stop talking about how much we enjoyed Maine. 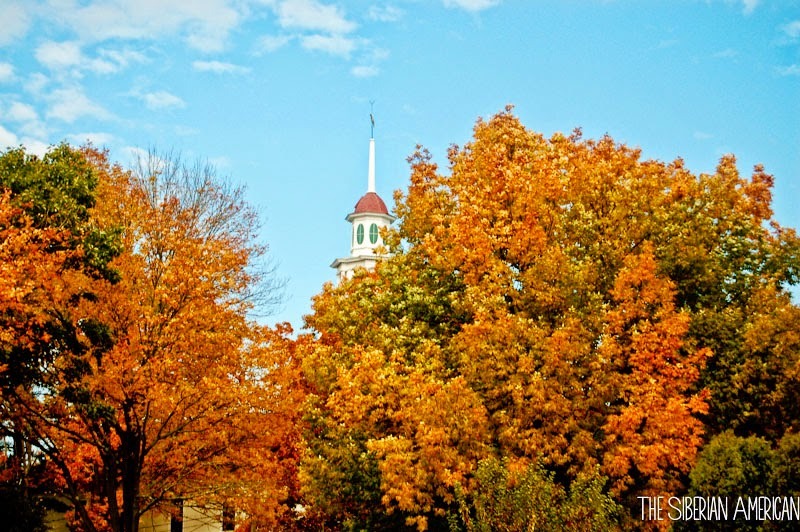 We definitely want to go back and devote a week to exploring the state, especially in the summer or fall. 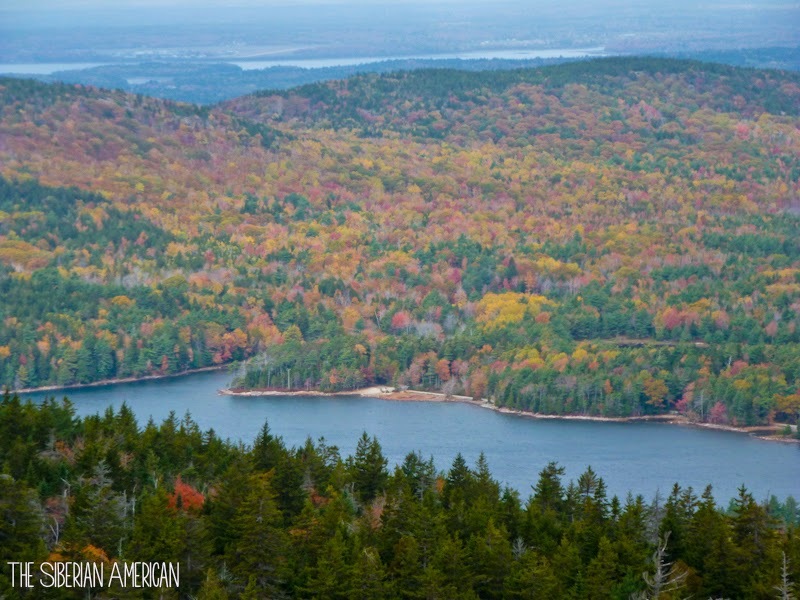 Want to catch up on our fall foliage cruise? I got to see my hubby for five days straight! He is at another interview in Rhode Island right now, but he comes home tonight. He has one more interview early next week, and then we get to spend a few days together for Thanksgiving. What a blessing! We are going to the Dallas Arboretum with my parents for a night Christmas event next week. Spending time with family+the arboretum decorated for Christmas=happiness. Speaking of the holiday season, my hubby brought me a caramel apple spice from Starbucks on one of the days that I have been sick, and I can’t believe that I hadn’t tried it before! My go-to winter drink is the white peppermint mocha, but I will definitely be getting the caramel apple spice on days I don’t want caffeine. I just finished The Look of Love by Sarah Jio (I got an advance copy), and I thought that it could be cheesy (It’s about a woman who has a gift of telling if people are actually in love by looking at them. ), but it was surprisingly sweet. If you are looking for a cute, fast, romantic read, The Look of Love fits the bill. It will be released next week on November 25. I put this photo on Instagram last night, but I can't help posting it again. 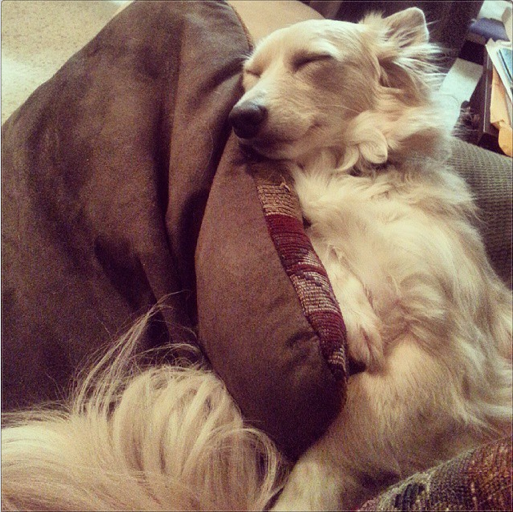 I seriously have the cutest pup. 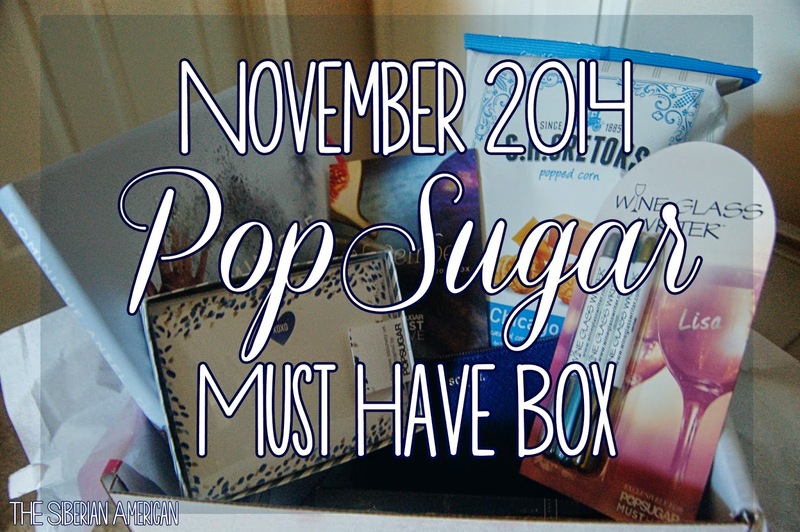 I mentioned in my September review that the PopSugar Must Have Box is my favorite subscription box. It is such a great mixture of beauty products, fashion and lifestyle items, fun snacks, and so much more. The November box definitely didn’t disappoint. Simpatico Shea Butter Cream in Ambergris ($22): I love shea butter, and I own way too many shea butter creams (is there such a thing?) I really liked this one. It smells great, is super moisturizing, and doesn’t leave my hands feeling greasy. A winner for me! G.H. Cretors Popcorn Chicago Mix ($2.99): This is so tasty! 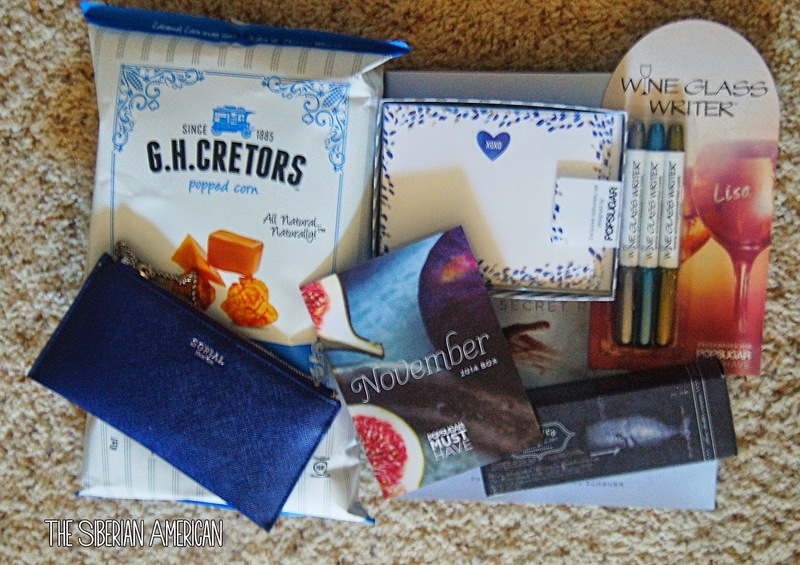 We had received a smaller version in a food box so I was really excited when I saw it in this month’s PopSugar box. It was hard not to eat the entire package in one sitting! Wine Glass Writer Metallic Pens ($9.95): Whoever came up with this idea is a genius. These will be so fun at parties and is such an easy way to identify glasses. I think these pens would also be such a great stocking stuffer! Dominique Ansel: The Secret Recipes Book ($20.47): Although I get most of my recipes online, there is something about having physical copies of recipe books that I just love. The photography and design in this book is incredible, and the recipes look amazing. I am looking forward to making some of these recipes, especially the mini madelines and pink champagne macaroons. Sorial Saffiano Wallet on a Chain ($49): I love the color of this, but I struggle with carrying something this size. My phone is huge so it’s the only item that would fit. (Maybe a lip gloss, but definitely not a lipstick). I think it’s cute so I will give it a try, but I usually carry large bags so it’ll be a struggle! Tiny Prints “Thoughtful Heart” Notecards ($15.90) I am such a huge fan of note cards. These are adorable, and I know that I will use them. The total amount for this box was $120.31, which was way more than I paid. Want a box of your own? I found some coupons! Click here to order, and use the coupon code CHEER to save $5 off your first box, or NOV14SELECT to save $10 off a three-month subscription. 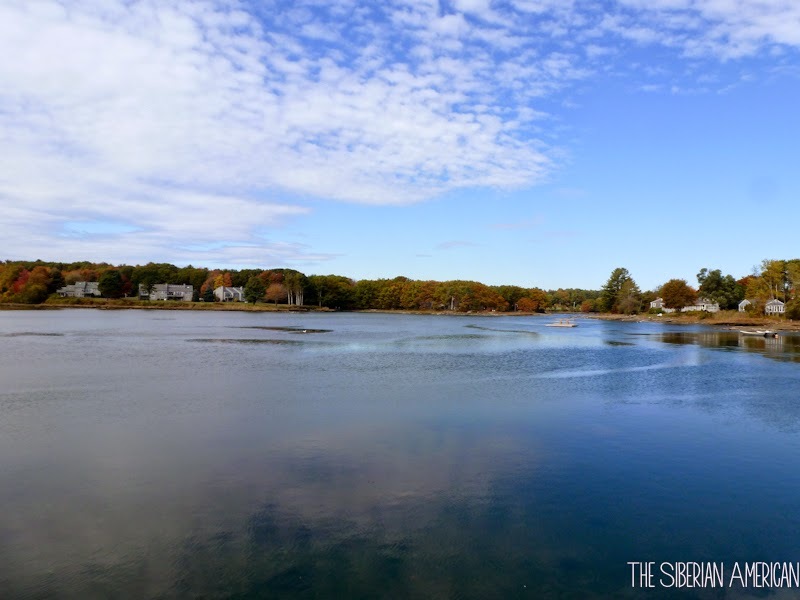 I decided to do the cruise ports out of order because I didn’t want to post two Maine travel posts back to back…and I wanted to talk about how travel doesn’t always go according to plan. 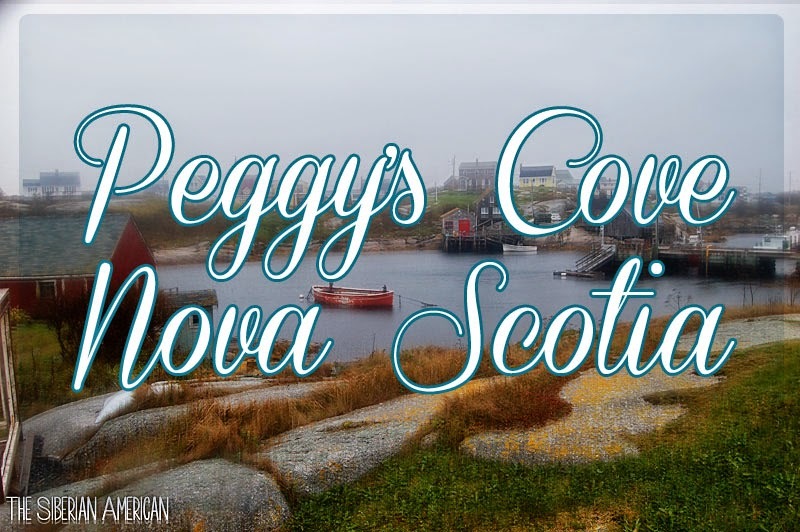 Our last port of our fall foliage cruise was Halifax, Nova Scotia, and I was really looking forward to it because I had heard many great things about Peggy’s Cove. 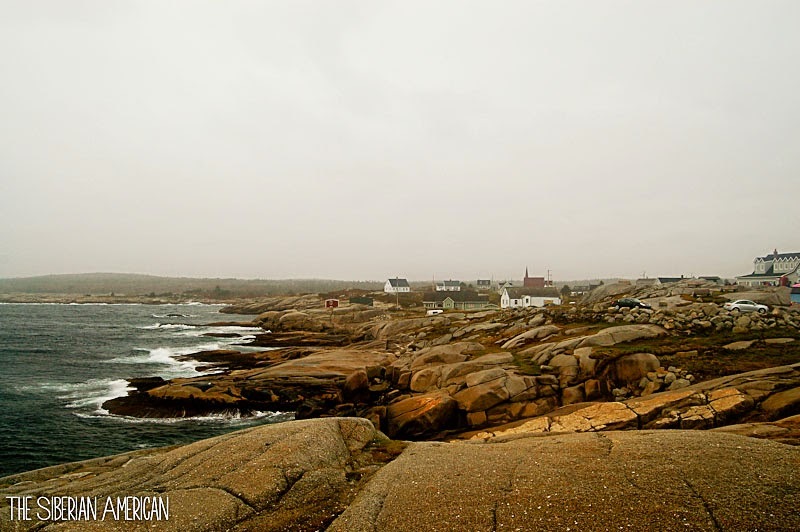 We knew it was likely to rain that day because Royal Caribbean cancelled all of the whale watching and water-based excursions…and sent everyone to Peggy’s Cove. 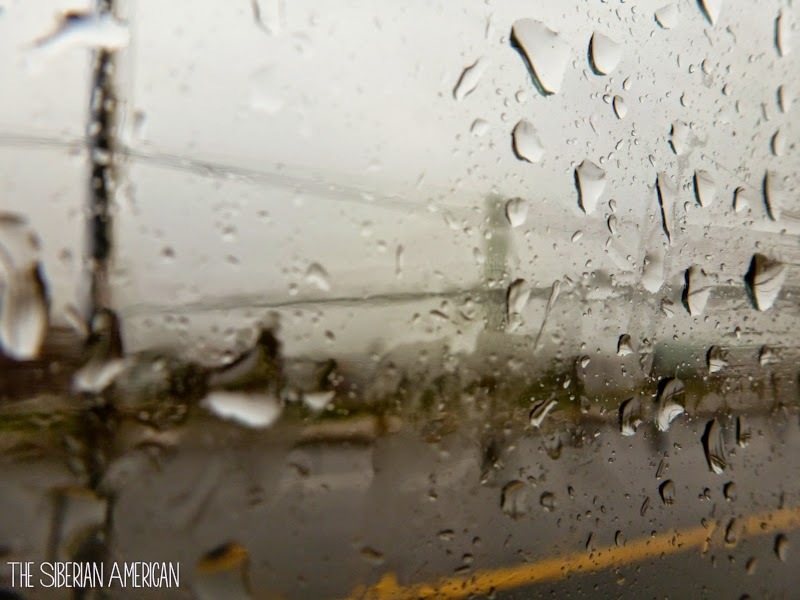 What we didn’t know was that it was going to pour. We later found out it was the first day it had rained in the area in weeks, and we were only getting it then because a hurricane was headed in our direction. 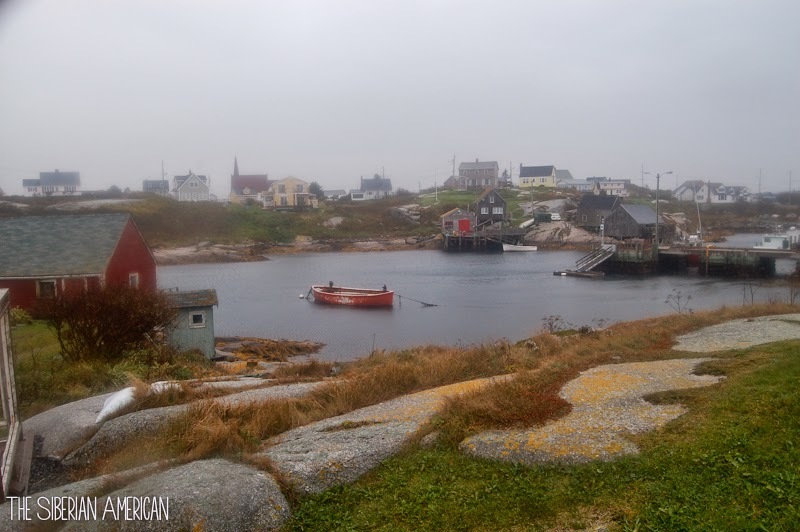 The drive to Peggy’s Cove was lovely—the fall colors were on full display, and I loved driving by the adorable villages and lobster boats on the water. 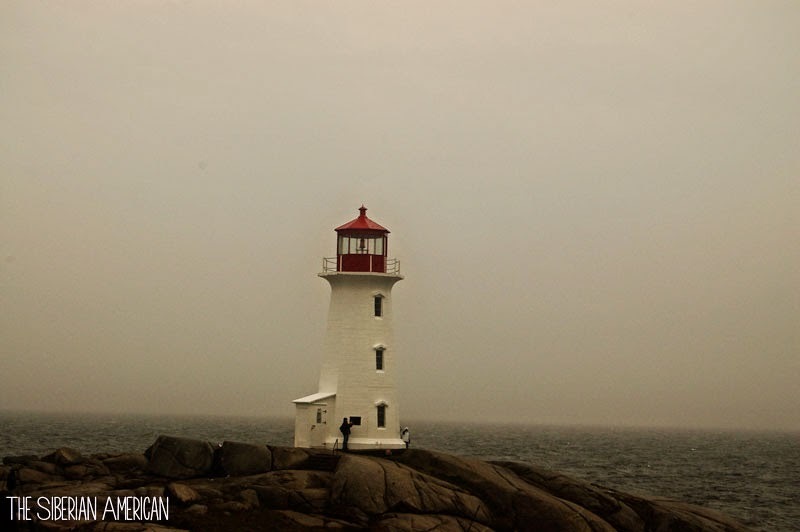 The torrential downpour started a few minutes before we arrived in Peggy’s Cove and didn’t let up for the rest of the day. 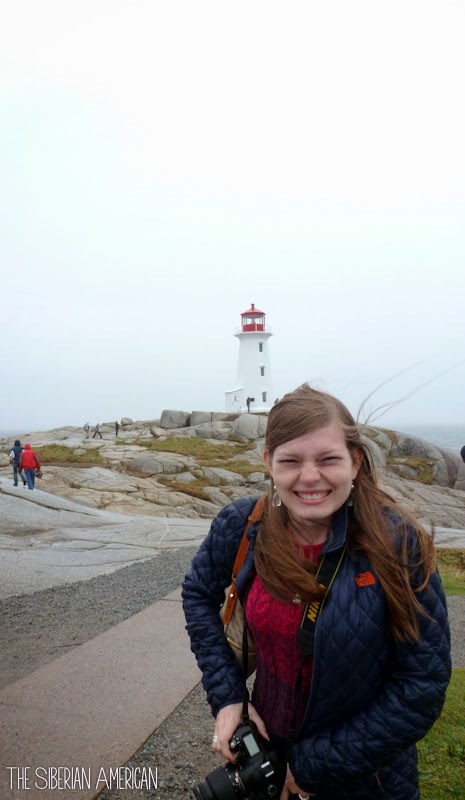 We braved the wind and the rain to get photos of the Peggy’s Cove Lighthouse…and then ran into the gift shop, where most of the crowd (which had tripled because of the cancelled tours) had gathered. We decided not to let the rain bother us and sprinted inside the Amos Pewter shop, where we watched a presentation on how they mold the pewter into jewelry and other gifts. It wasn’t possible to explore the rest of the village so we headed back on the bus. 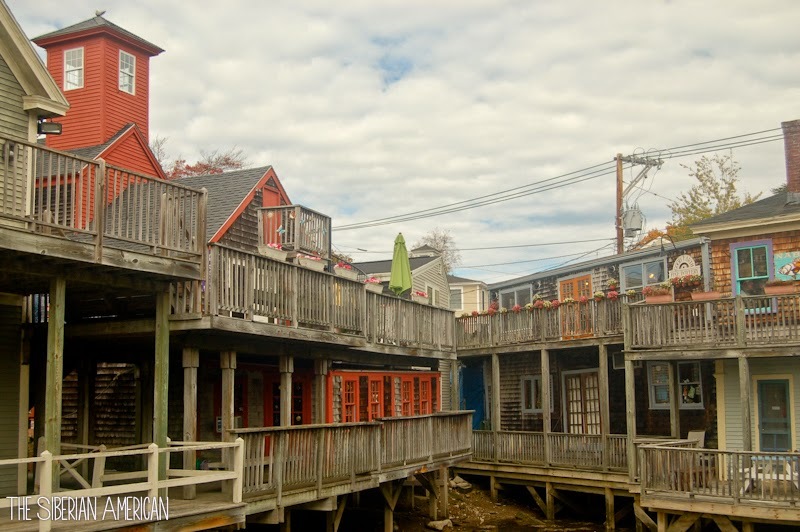 We did get to hear interesting (and tragic) stories about Halifax, and I am eager to go back and visit on a nicer day. 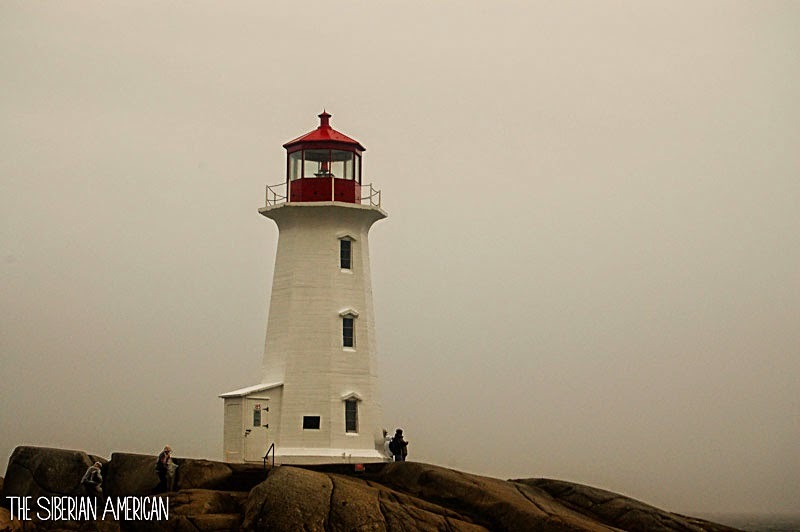 Some of the sites I want to see include: the Citadel, Maritime Museum, and the Halifax Public Gardens. You win some; you lose some. Although it wasn’t a great sightseeing day, we tried to make the most of it and learn as much about Halifax as we could. I have finally gotten my act together and started reading again. I think I will be able to complete my challenge of 50 books again this year. Reading suggestions are always welcome. Mom and I went shoe shopping at Macy’s last weekend, and I found the cutest pair of ankle boots. I am a little hesitant because they aren’t leather (I usually prefer leather), but they are water resistant, warm, and I love the quilted pattern. What do y’all think? Buy or don’t buy? Do you like the brown ones or the black ones better? I am so excited to start shopping for holiday party dresses. I'm currently eying this Loft dress. Any excuse to buy a new dress is great in my book! I have been feeling so thankful lately. Thankful for my hubby, my family, my friends, my job, and my sweet dog. I love the holiday season because it forces me to step back and remember what is important in life. When Chris first started medical school, I was looking for ways to earn a little extra spending money. Though I was skeptical about it, I decided to give taking surveys a try. Over the years, I have been a part of some really terrible survey sites, but I also have some sites that I absolutely love. 1) The money is worth my time: When I first started taking surveys, I would take practically every survey that I received. Huge mistake. Now, if a survey says it will give me 50 cents for 30 minutes of my time (or even 10 minutes for that matter), I automatically click the delete button. 2) Don’t spam me: Some sites have good surveys, but I end up getting sick of them because they send me 20+ emails a day. I prefer websites that send out one good survey a day (or once a week). In general, these surveys pay more, and I don’t have to sift through a bunch of surveys to pick out one I want to do. 3) Interesting topics: Don’t ask me to take a survey on credit cards or fast food restaurants. I’m just not interested. In general, if the survey is short enough and about a topic that excites me, I enjoy taking the survey (weird, I know). It is terrible of me to have my number one survey site be a place that is difficult to get in, but I could not write a post on my favorite survey sites without mentioning Pinecone. 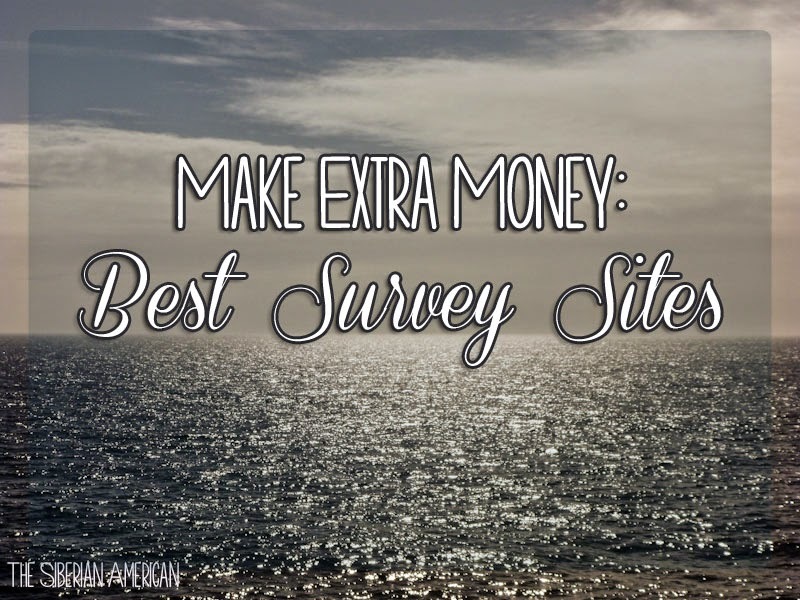 You can choose how many surveys you want sent to you per week, and you receive a flat rate of $3 per survey. The surveys take me about 10 minutes to complete, and they are usually about interesting product concepts. Sometimes, they will let you test products that are not even on the market! You can’t sign up for Pinecone through their website, but they do advertise sign ups on other sites several times throughout the year. If you are interested in joining, goggle “Pinecone Research Sign Ups,” and there is usually a website offering sign ups. 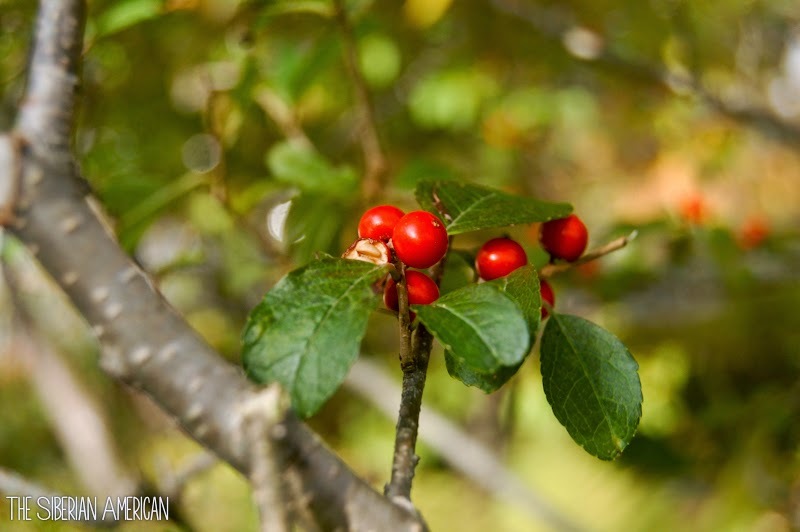 The American Consumer Panel is open to new members and is another great site. I get a survey about once every two weeks, and I usually love the topics. The pay is fair, and I have completed some fun product tests through this site. I like Consumer Opinion Institute because they mail you one or two surveys a month with $5 already in them. The surveys can be a bit boring, but I like that I already have the reward, and they don’t take me long to complete. They pay well for the amount of time it takes to do the survey. I could write about many more sites so I am considering putting together a second tier survey list if people are interested. I am also thinking of writing a post on some of the worst survey sites I have tried so your feedback is appreciated! Do you take surveys and have a favorite survey site? I am always up for trying other options! 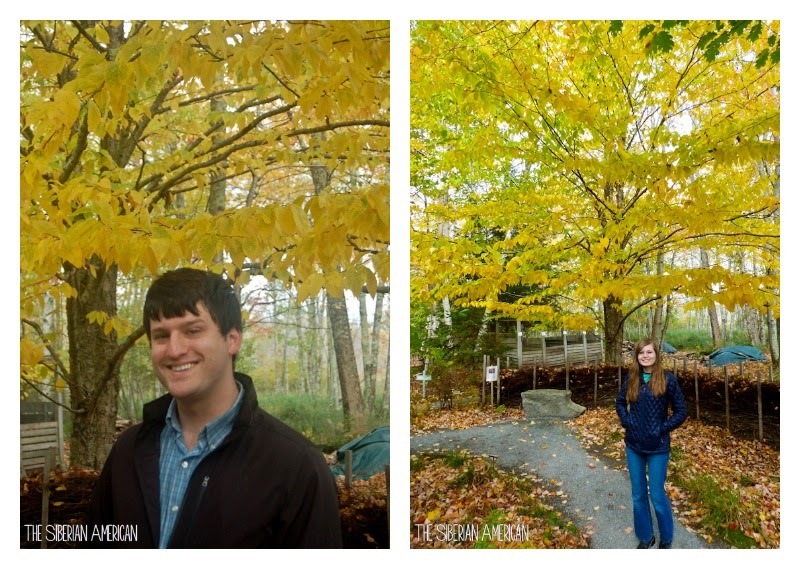 Our first stop on our fall foliage cruise was Portland. 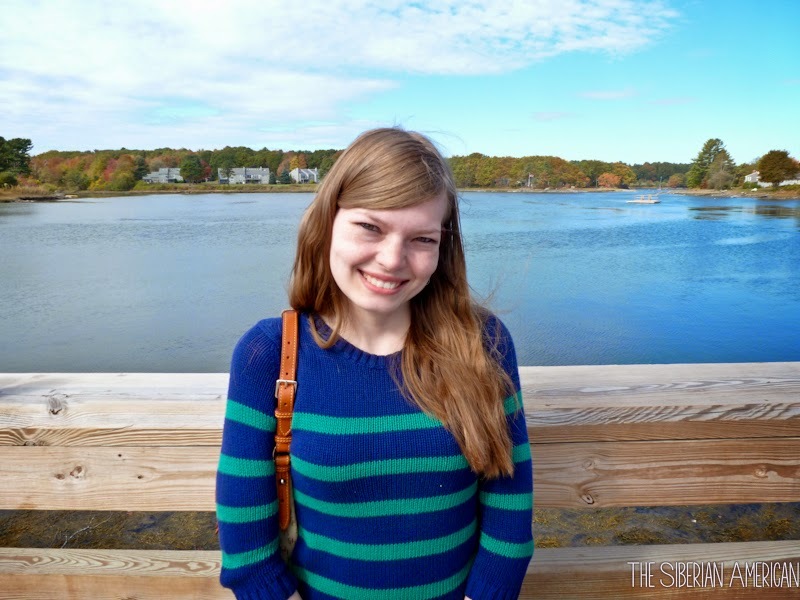 Portland was one of the ports that made me pick this cruise itinerary. 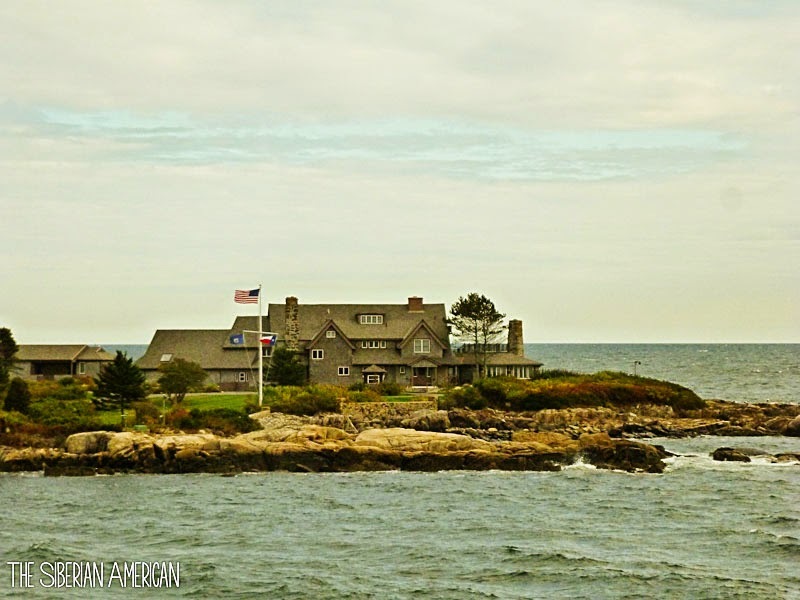 I had Maine on my mind and really wanted to make the trip over to Kennebunkport. 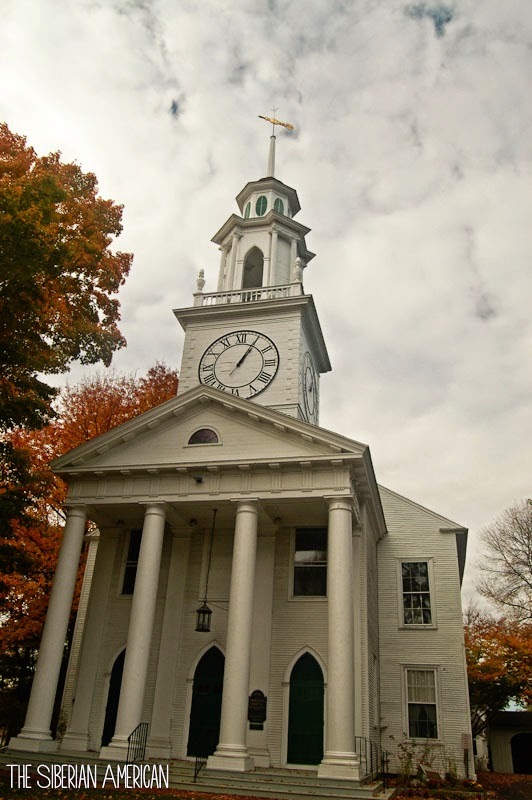 Since driving from Portland to Kennebunkport takes about 45 minutes, we decided to take a bus tour. We woke up at the crack of dawn on our first full day on the cruise to board the bus. Our bus tour first took us all over Portland. Portland had a great atmosphere—I loved the Arts District and the beautiful views from the Old Port. 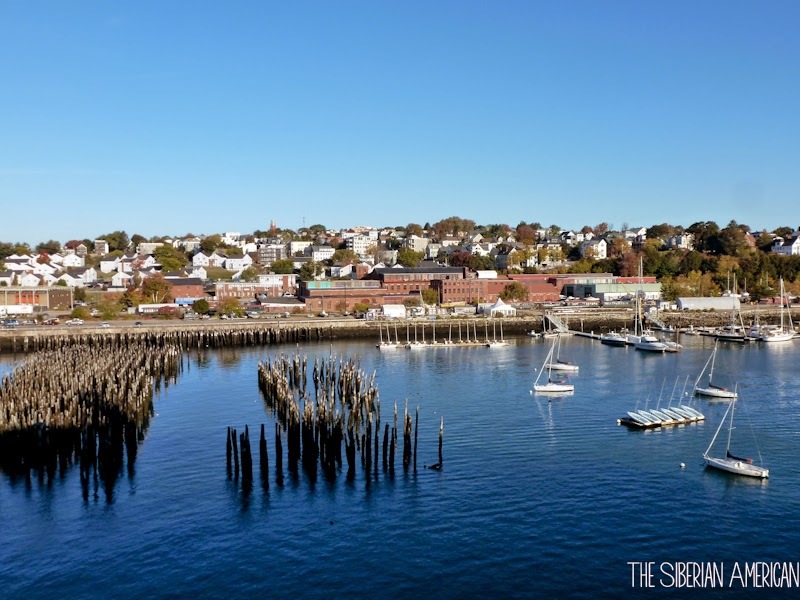 Even though Portland is Maine’s largest city, it had more of a large-town feel. Other than the harsh winters, I think it would be a fun place to live. 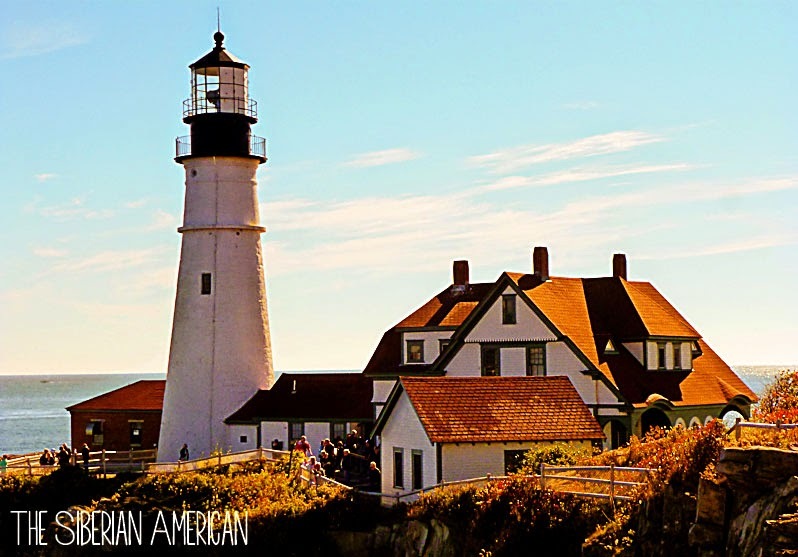 After seeing Portland, we headed to one of my favorite stops of the day—the Portland Head Light in Cape Elizabeth, Maine. 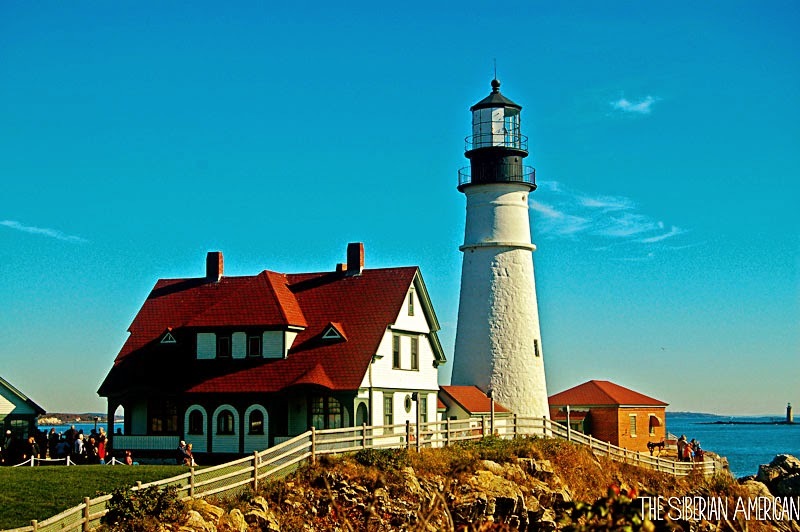 What a beautiful lighthouse in a gorgeous setting! I could have sat there all day, watching the waves crash up to the shoreline below the lighthouse. It was absolutely picturesque. 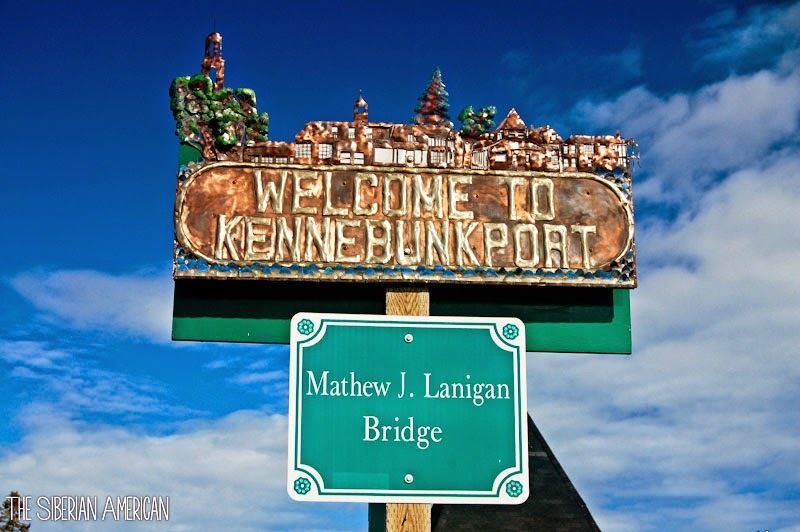 Then, we headed off to the cities of Kennebunk and Kennebunkport (those are two cities next to each other. 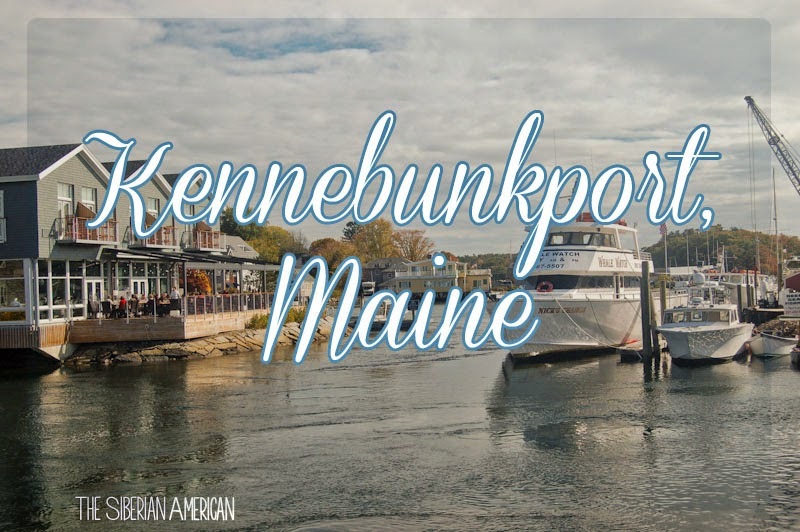 I didn’t realize there was city called Kennebunk until our tour guide mentioned we would be stopping there.) 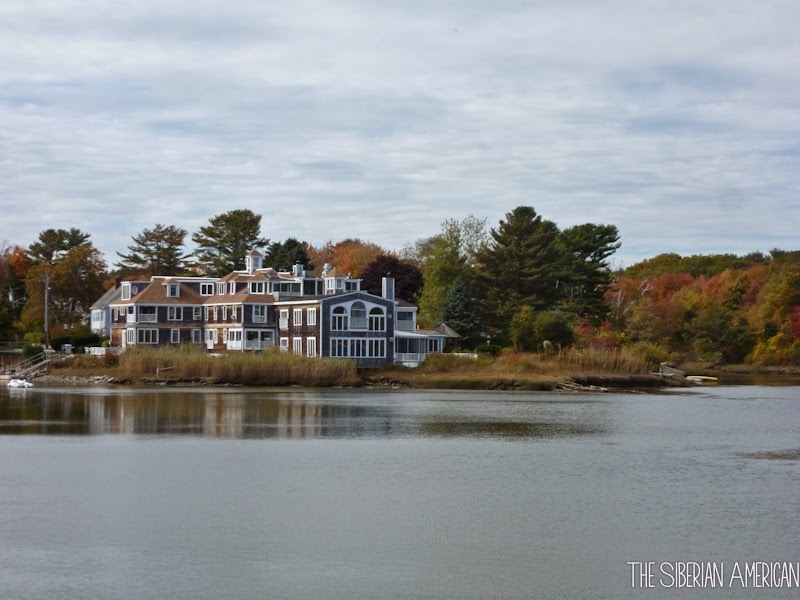 Once we got to Kennebunkport, all Chris and I could talk about was how great it would be to spend a week relaxing there. 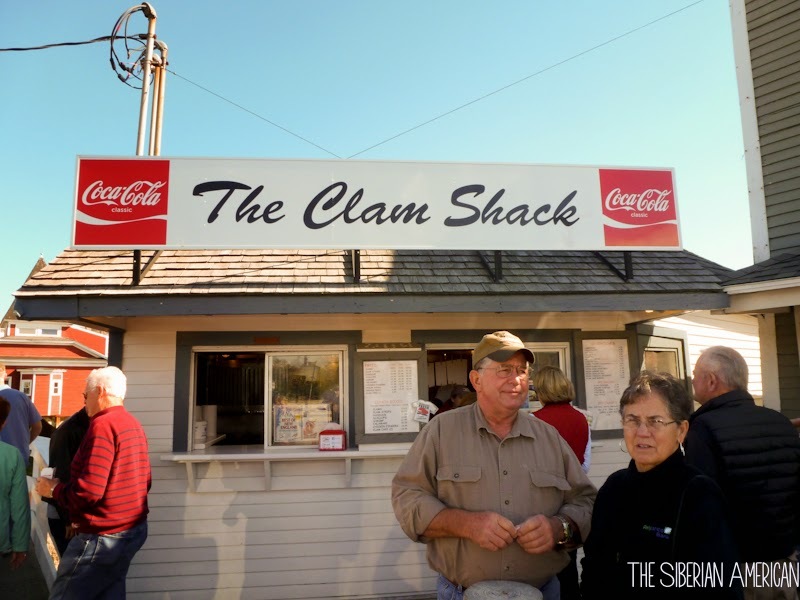 When we got off the bus, the first thing we had to do was eat at the Clam Shack. Here’s the thing: I am not a huge fan of lobster rolls so I knew if I was going to try one in Maine, I was going to get it at a place that has won tons of awards for their lobster rolls and scored an endorsement from Barbara Bush. 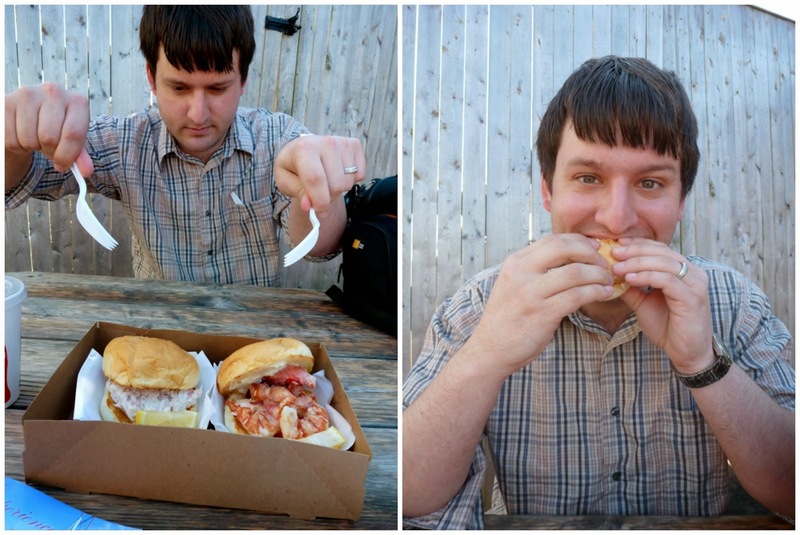 My lobster roll was worth every cent…and I would have paid double for it; it was that good. 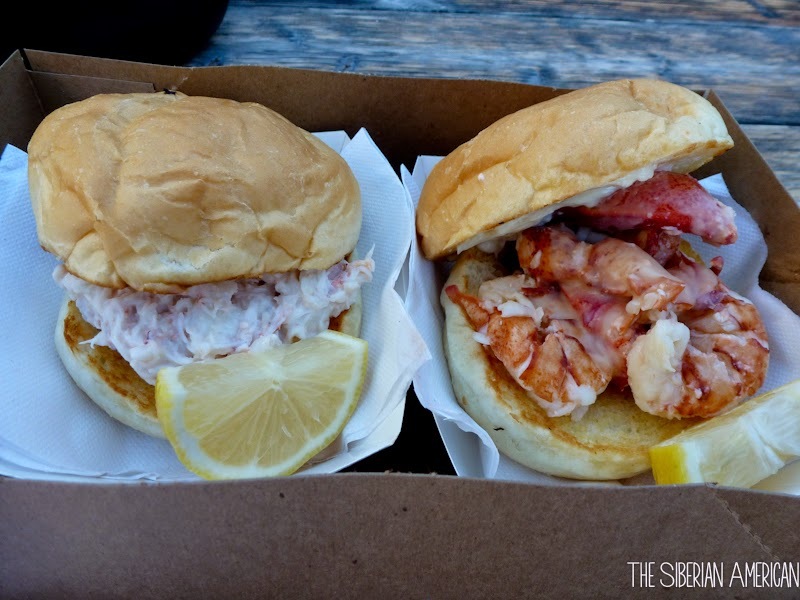 I would go back to Kennebunkport just to eat more lobster rolls. After we were full and very happy, we walked around the adorable town. It was a perfect day to visit the shops and look at the many Victorian houses in the area. We even got to drive by the Bush residence on our way back. 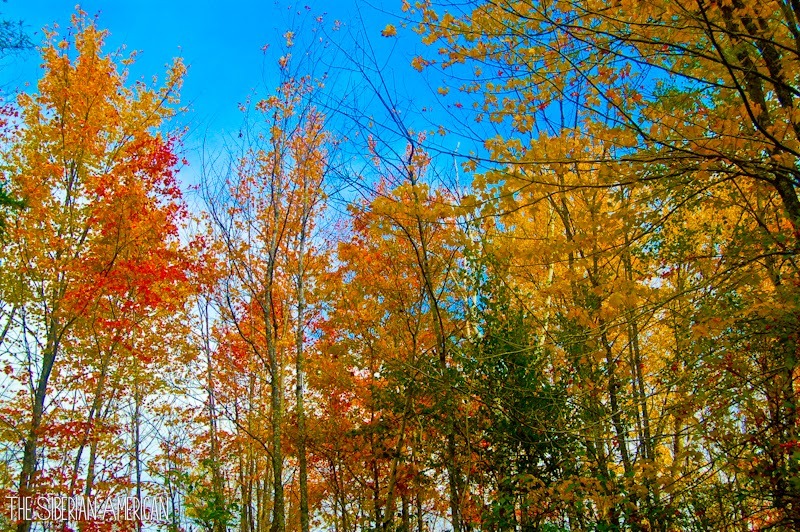 It was the perfect start to our fall vacation, and I would go back in a heartbeat, preferably in the summer or fall.